My Pompano Dentist, conveniently located on NE 14th Street Causeway in Pompano Beach, Florida, draws patients from south Palm Beach County to Ft. Lauderdale in Broward County. Why? Our dentists, Dr. Andrew Browne and Dr. Joseph Thayil, have a reputation for going the extra mile to make your visit as painless and pleasant as possible. You will never feel rushed; they take as much time as necessary to explain your treatment in detail and answer all your questions. 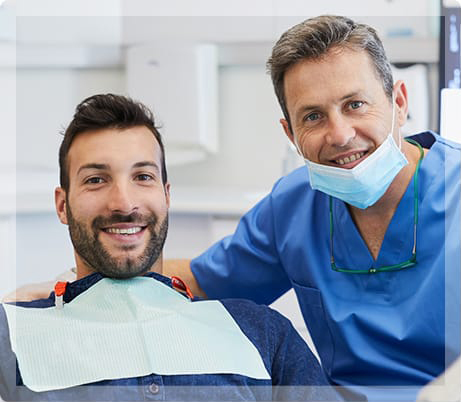 General Dentistry: Routine cleanings, fillings, extractions, root canals, and gum disease treatment are all part of the preventive and general dental care we offer. Dental Implants: Our dentists provide natural-looking, replacement teeth designed to last a lifetime, including complete and partial dentures with implant support. Orthodontics: Our dentists specialize in diagnosing, preventing, and correcting malpositioned teeth and jaws to give you the straight teeth you always wanted. Teeth Whitening: For a whiter, brighter smile we offer a combination of at-home whitening with a single in-office whitening visit for maximum results. Cosmetic Dentistry: When you want a smile that dazzles, porcelain veneers and teeth whitening are common solutions. Reconstructive Dentistry: Our dentists provide full-mouth rehabilitation in the form of crowns, bridges, and implants, as well as crown lengthening to improve a “gummy” smile. Whatever your dental and oral health needs, the skilled professionals at My Pompano Dentist are here to help you restore or retain your beautiful smile. To schedule a visit, call our Pompano Beach, Florida office at (954) 941-2412 or use our convenient online appointment request form.